In one of our first posts in Wise Words, we examined the Kepler Mission — a NASA project to search for Earth-like planets in the Milky Way Galaxy outside of our solar system. At the time — two and a half years ago — an estimated 105 planets had been confirmed as orbiting their sun in the “habitable zone,” a distance considered to be neither too close, nor too far, to sustain life. Today, the Kepler Mission has identified about 1,030 such planets. 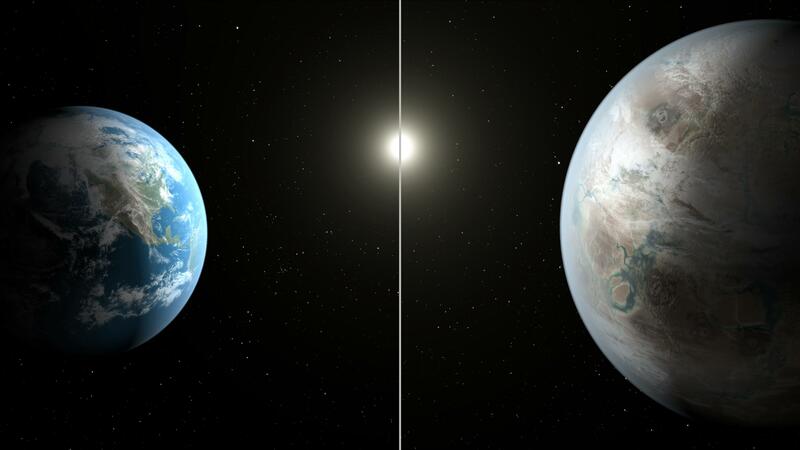 And the most recent development is the discovery of a planet named Kepler-452b, located some 1,400 light years away, which astronomers say is likely to harbor some forms of life. The planet has been dubbed as Earth’s cousin because of many similarities, including the apparent ability to host life. Scientists estimate that it is composed of about 60-percent water, comparable to Earth’s 71 percent. It orbits its sun in 385 days, compared with our 365 days. Kepler-452b is about 60-percent larger, but it is far from a massive planet like the outer planets of our own solar system. And it is an “older cousin” to Earth, having existed for about 6 billion years vs. Earth’s 4.5 billion years. Another similarity is that it orbits only one star, according to Elliott Horch, an astronomer and associate professor of physics at Southern. He has assisted on some of Kepler’s projects. The observation was made with a telescope that includes a DSSI (Differential Speckle Survey Instrument), a device developed by Horch that sharpens cosmic images many times over. He built it for the National Science Foundation in 2008. Horch will participate in a panel discussion as part of an astronomy forum planned at Southern on Monday, Nov. 16. The program will examine Kepler, as well as the possibility and challenges associated with a manned mission to Mars. Guest speakers will include Steve Howell, Kepler project scientist, and Jennifer Stern, a space scientist and Martian expert at NASA’s Goddard Space Flight Center. More information about the forum will be forthcoming. Additional information about the recent discovery can be found in a recent NASA press release.